I live my life with the light of truth burning brightly in my heart. I must be myself. I listen to my heart and have the courage to examine my life, matching my inner conversations with outer action. And So It Is! I trust my inner goodness and I notice the goodness in others. All is well in my world; I live a life of integrity and love. I trust my inner goodness and I notice the goodness in others. 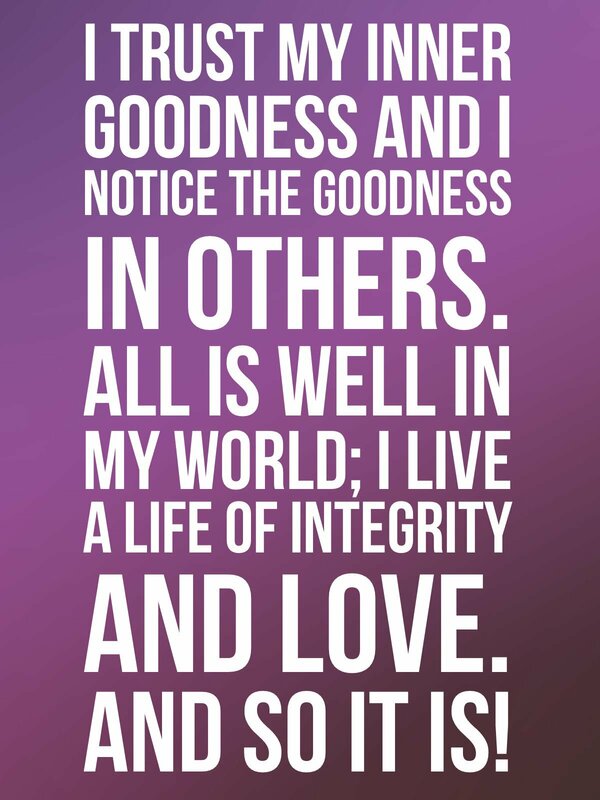 All is well in my world; I live a life of integrity and love. And So It Is! 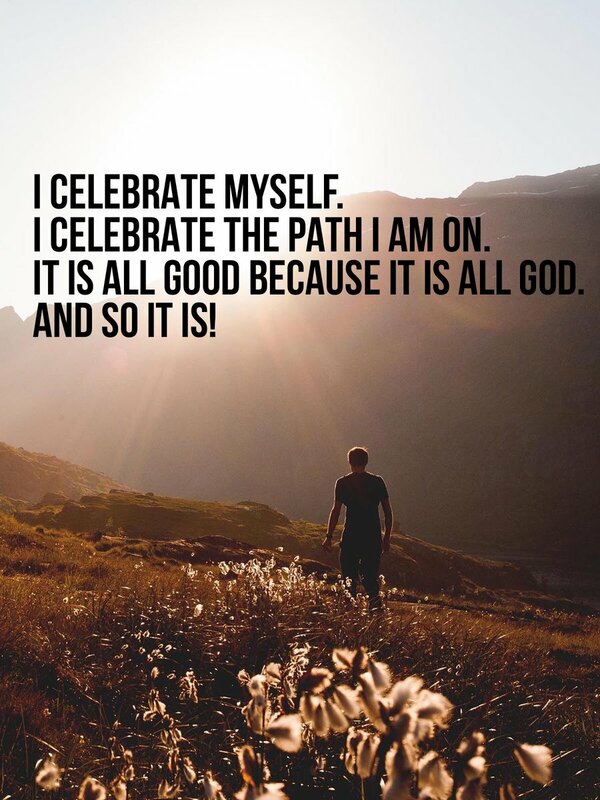 I abide in prosperity. Mind created me in order that It might act through me. Therefore, I am receptive to abundance. I am receptive to Its circulation in my life in the form of money. I abide in prosperity. Mind created me in order that It might act through me. Therefore, I am receptive to abundance. I am receptive to Its circulation in my life in the form of money. And So It Is!